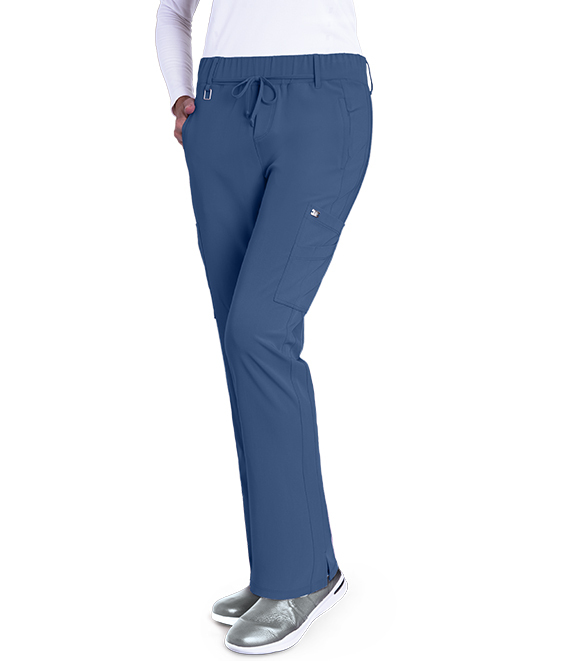 This Grey's Anatomy Signature modern fit Olivia pant features 4-way stretch fabric, 6 pockets, double cargo, mid-rise, straight leg, elastic waist, front tie, 2 angled front welt pockets, and 1 back welt pocket and pen slot. Inseam is 31.5". Made of 71% polyester / 24% rayon / 5% spandex.